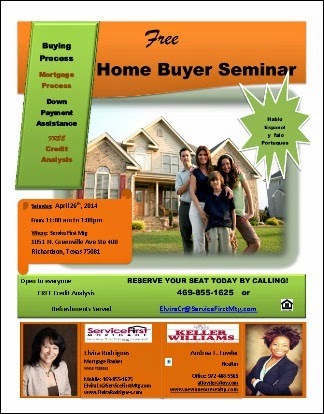 Interested in purchasing your first home? Join New Avenue Realty and Service First Mortgage as we discuss the home purchasing process for first time homebuyers. As a bonus, you will receive a FREE credit report. Reserve your spot for the seminar now.